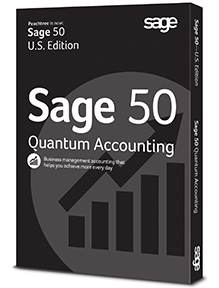 Summary: Sage 50 Quantum Manufacturing Edition as a unique product has been discontinued. But it was simply Sage 50 Quantum bundled with the third party add-on program MiSys Manufacturing. MiSys is still available and still integrates with Sage 50. The only difference is that you purchase the two separately. If you need serious manufacturing features but don't want to give up Sage 50’s ease of use or pay the usual price tag of manufacturing software, then Sage 50 combined with MiSys Manufacturing is for you. The two products are tightly integrated, allowing MiSys to handle your manufacturing and WIP needs, while still utilizing Sage 50 for your finished goods inventory and invoicing.